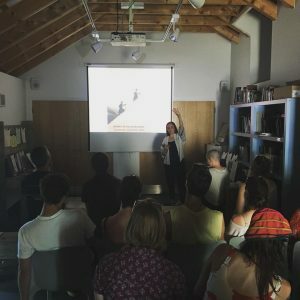 Simone’s talk introduced elements of her ongoing research and the Into the Mountain project. 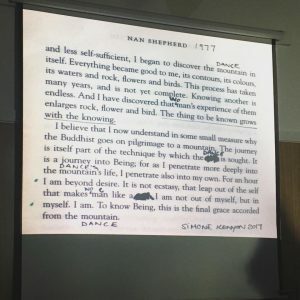 The talk included an introduction to Simones previous work, the influence of Nan Shepherds prose, The Living Mountain and the future activity for the development of the project. Discussion over food and drink continued afterwards.